Apartment Hunting In Montreal: How To Deal With It? Here’s that time of the year again, the time where you have to be on some classified ads intravenous, trying to filter every Kijiji ad and detect each Craigslist obvious scam. 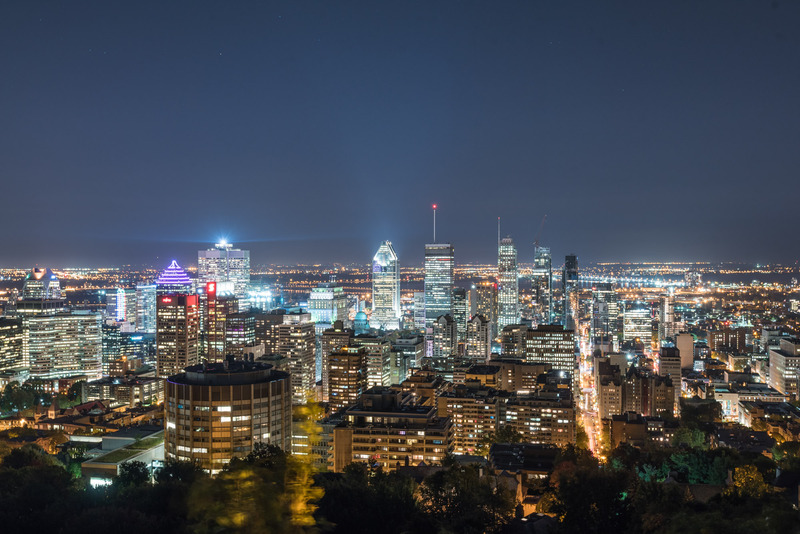 Coming from Québec City, I never thought it would be this difficult to find a decent apartment in the bigger city that is Montreal. 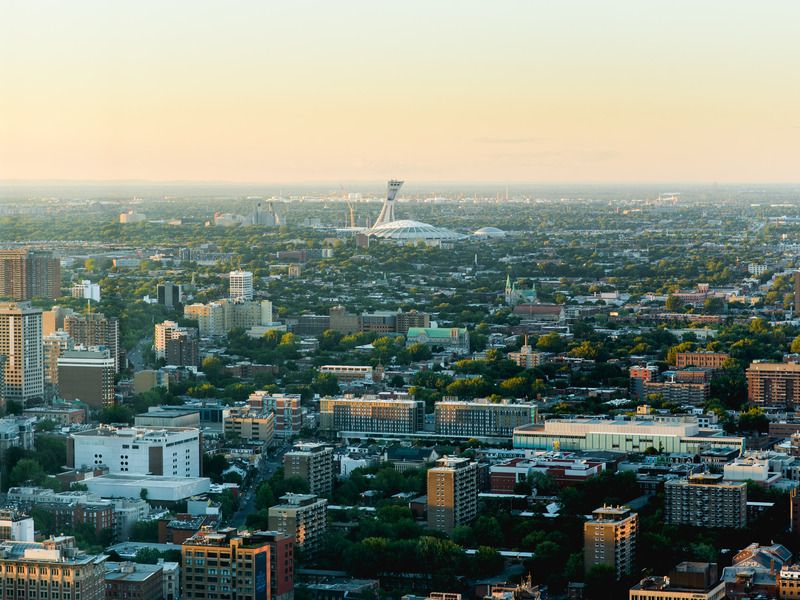 Jeff On The Road – How To Find An Apartment in Montreal – Mtl Skyline from Belvedere du Mont-Royal – All photos are under Copyright © 2017 Jeff Frenette Photography / dezjeff. To use the photos, please contact me at dezjeff@me.com. 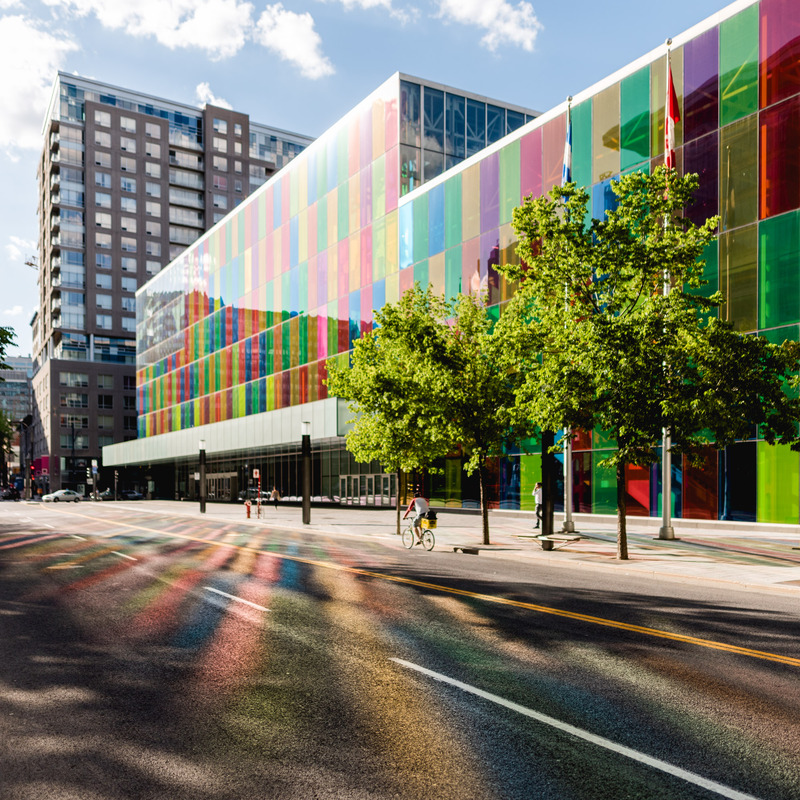 Jeff On The Road – How To Find An Apartment in Montreal – Iconic Colourful Palais des Congrès – All photos are under Copyright © 2017 Jeff Frenette Photography / dezjeff. To use the photos, please contact me at dezjeff@me.com. 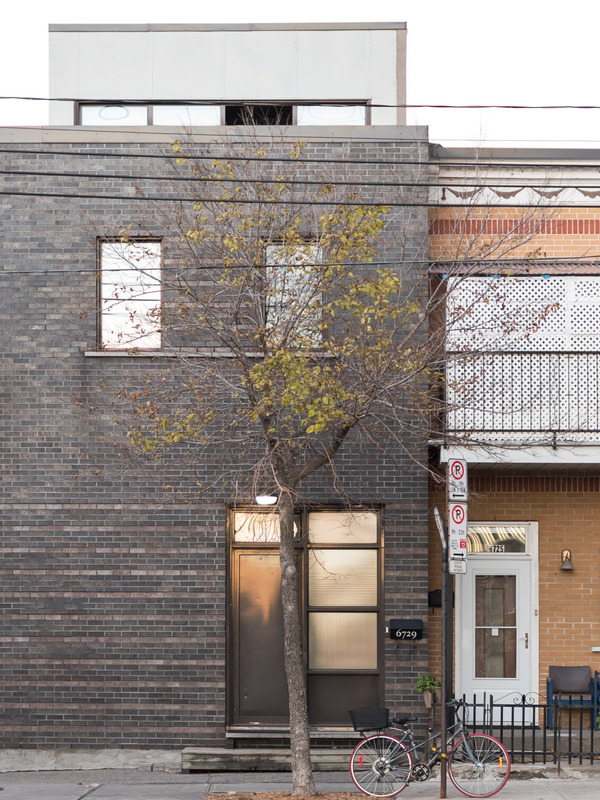 Jeff On The Road – How To Find An Apartment in Montreal – Mile-End House Portrait – All photos are under Copyright © 2017 Jeff Frenette Photography / dezjeff. To use the photos, please contact me at dezjeff@me.com. All photos are under Copyright © 2017 Jeff Frenette Photography / dezjeff. To use the photos, please contact me at dezjeff@me.com. 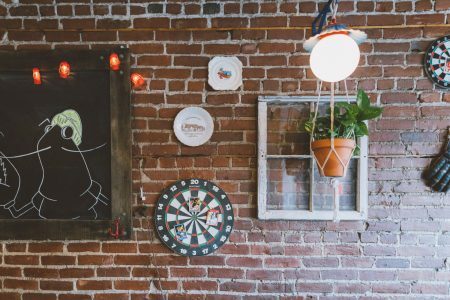 Well before opening your app of choice to check classified ads, you should think about a few things — even if it’s not your first apartment. Here’s what you should consider. Which neighbourhoods do you like? Where do you want to live? 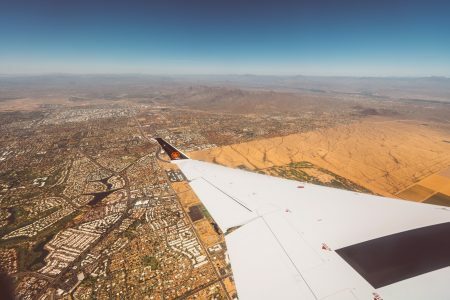 You should definitely take some time to think this through as you might discover positive and negative surprises about the neighbourhood you’ve always dreamt about. I suggest you stroll around different parts of town in order to discover the surroundings and find out what’s best for you. 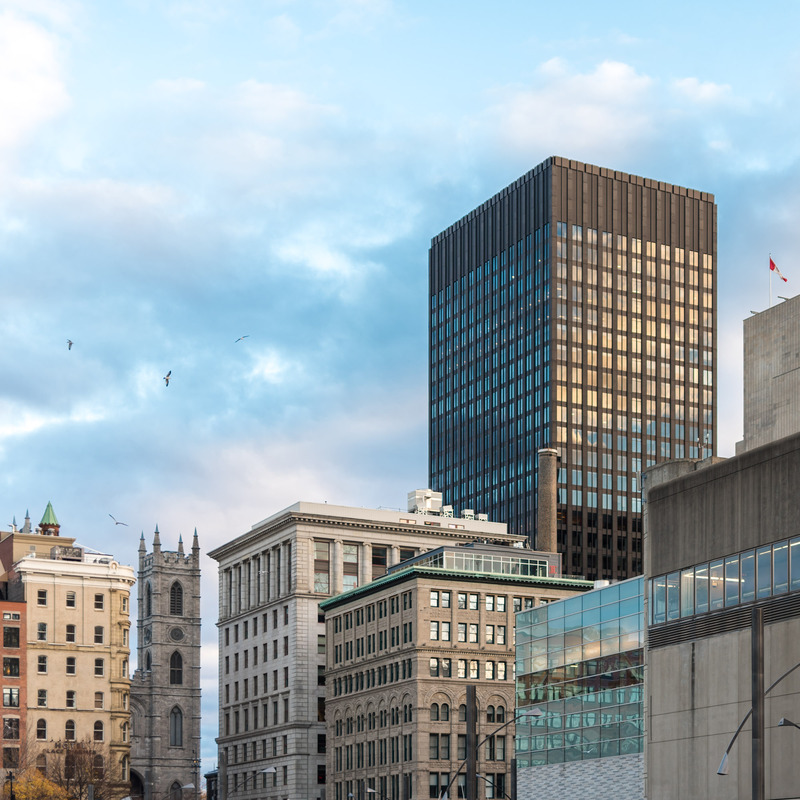 Jeff On The Road – How To Find An Apartment in Montreal – Montreal Skyline from Place Ville-Marie overlooking Stade Olympique – All photos are under Copyright © 2017 Jeff Frenette Photography / dezjeff. To use the photos, please contact me at dezjeff@me.com. What is the maximum price you can pay without any inclusions? What is the maximum price you can pay with some things included? You have to budget this out before you start the hunt. Like The Clash once said, should I stay or should I go? Why do you want to leave your current apartment? 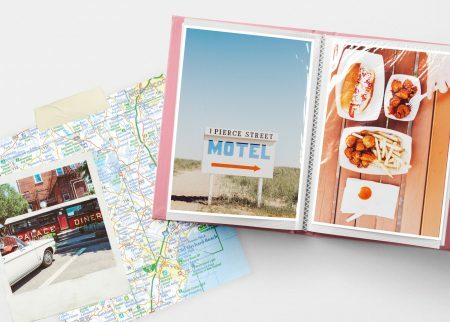 What would you be looking for in your future apartment that you don’t have right now? 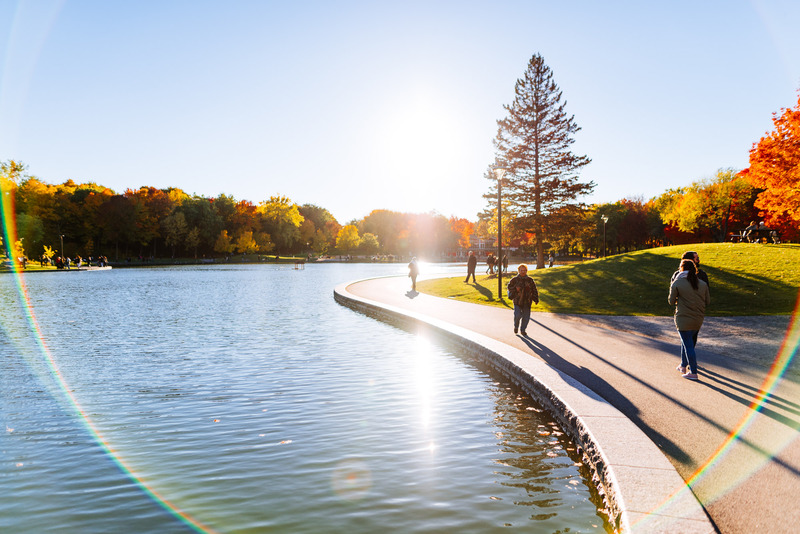 Jeff On The Road – How To Find An Apartment in Montreal – Parc du Mont-Royal – All photos are under Copyright © 2017 Jeff Frenette Photography / dezjeff. To use the photos, please contact me at dezjeff@me.com. What type of building do you want to live in? Are you a duplex or triplex type, or even a multiple unit type? Ask yourself the question: do you want to live with 20 different families or are you more comfortable with a smaller building of 2-3 families? 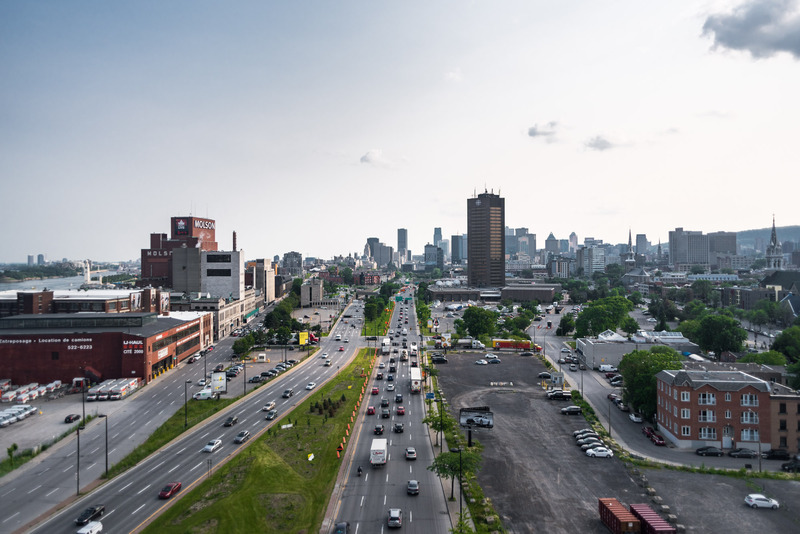 Jeff On The Road – How To Find An Apartment in Montreal – Old Montreal from Chinatown – All photos are under Copyright © 2017 Jeff Frenette Photography / dezjeff. To use the photos, please contact me at dezjeff@me.com. 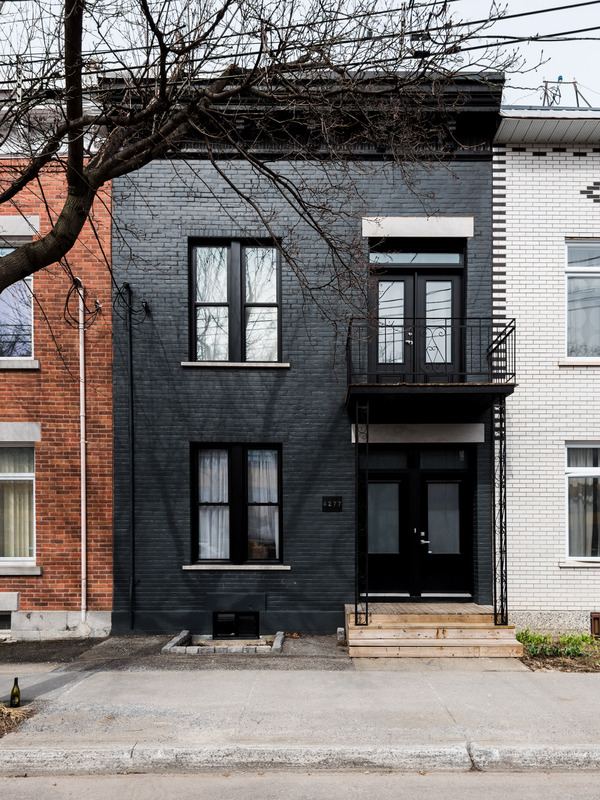 Jeff On The Road – How To Find An Apartment in Montreal – House Portrait in Le Plateau – All photos are under Copyright © 2017 Jeff Frenette Photography / dezjeff. To use the photos, please contact me at dezjeff@me.com. 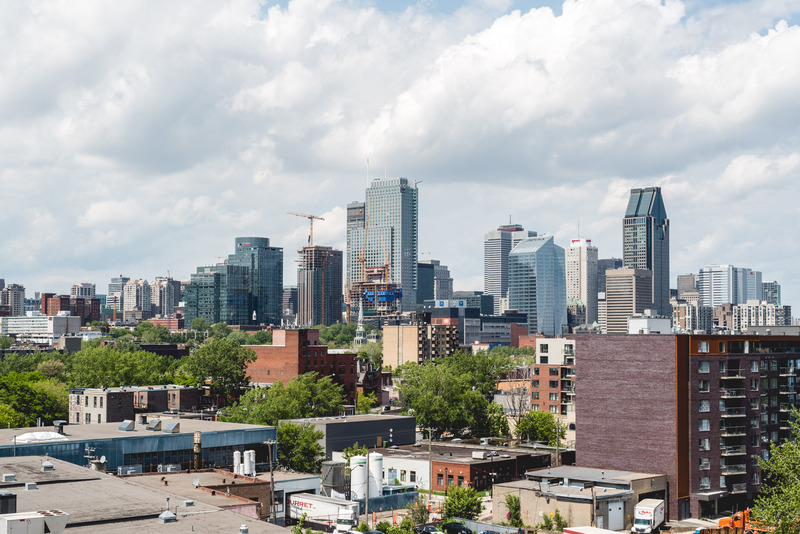 Jeff On The Road – How To Find An Apartment in Montreal – Skyline from Griffintown – All photos are under Copyright © 2017 Jeff Frenette Photography / dezjeff. To use the photos, please contact me at dezjeff@me.com. How long are you ready to commute (bus, metro, walk, bike?) to get to your daily place of business? Will you be aggravated by the idea of walking 15 minutes to catch a bus that will get you to the nearest metro only to have to change lines three times? Do you own a bike and do you want to ride it everywhere? 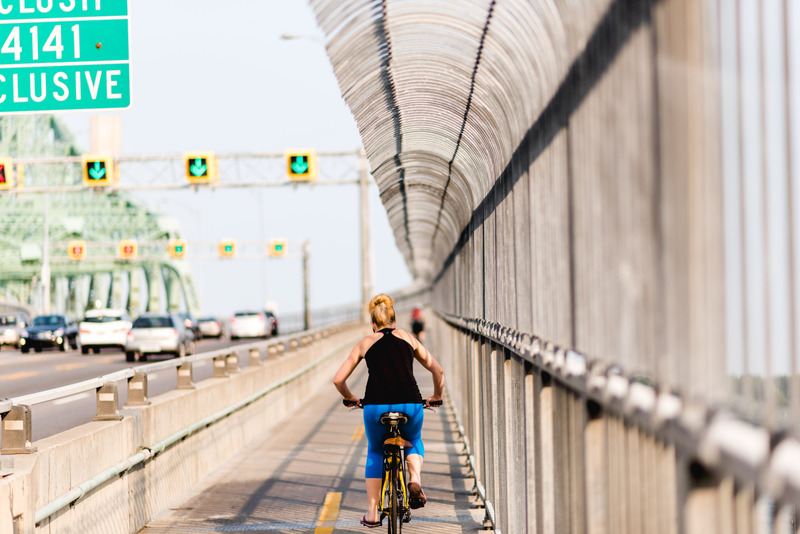 Alternatively, is there a bike share station like Bixi close to your preferred apartment? If you own a car, what are the parking options nearby? 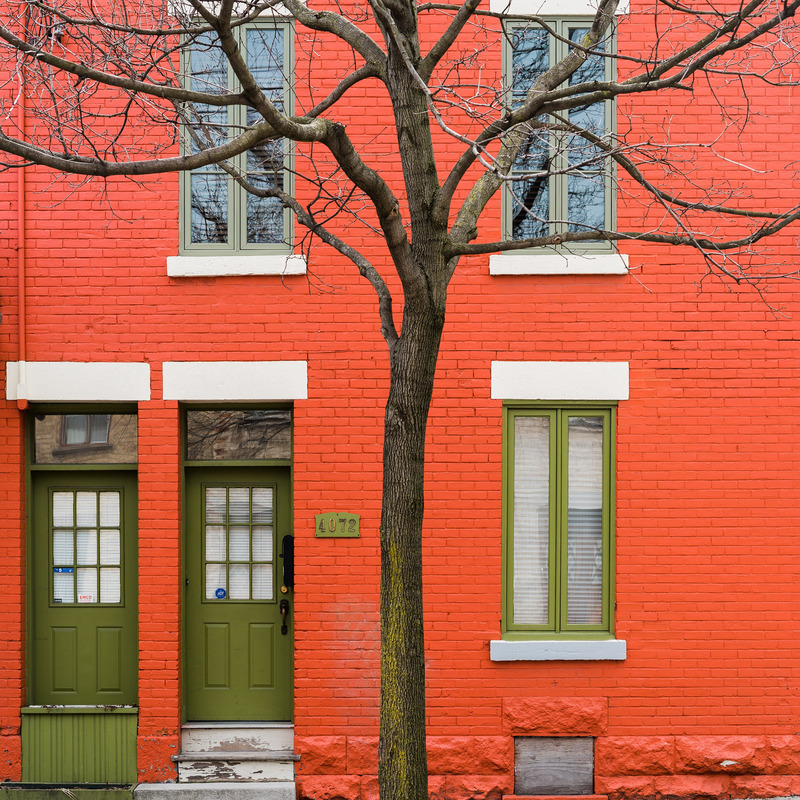 Jeff On The Road – How To Find An Apartment in Montreal – Iconic Oratoire St-Joseph – All photos are under Copyright © 2017 Jeff Frenette Photography / dezjeff. To use the photos, please contact me at dezjeff@me.com. 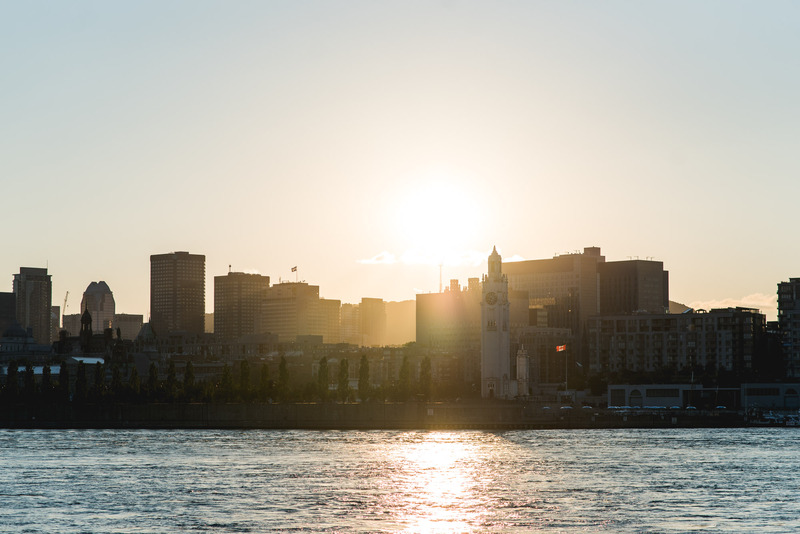 Jeff On The Road – How To Find An Apartment in Montreal – Skyline from Pont Jacques-Cartier – All photos are under Copyright © 2017 Jeff Frenette Photography / dezjeff. To use the photos, please contact me at dezjeff@me.com. 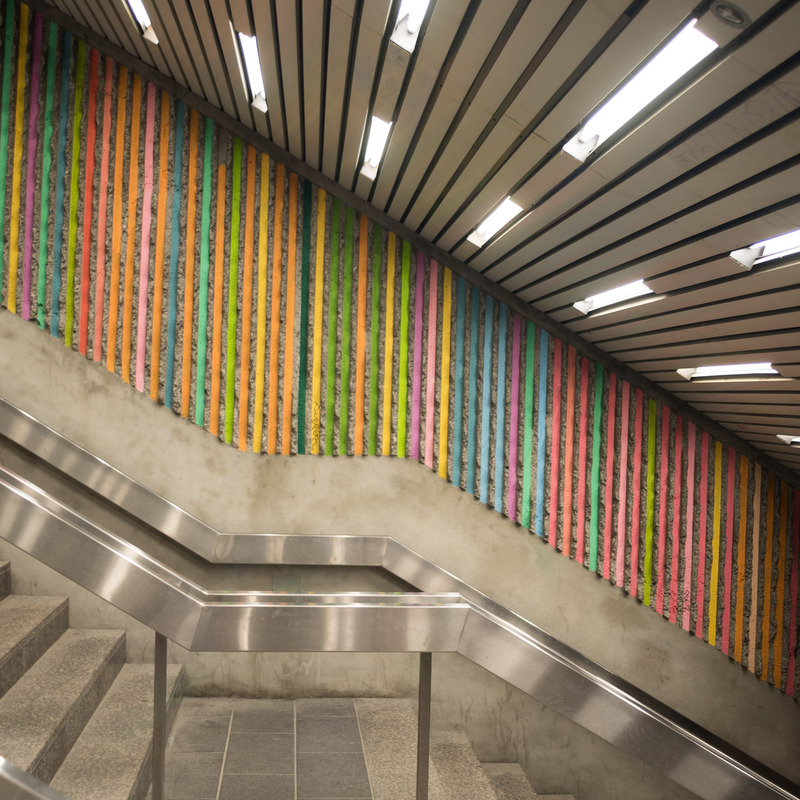 Jeff On The Road – How To Find An Apartment in Montreal – Metro Montreal Subway All photos are under Copyright © 2017 Jeff Frenette Photography / dezjeff. To use the photos, please contact me at dezjeff@me.com. I owe this one to Destiny’s Child famous song ‘Bills, Bills, Bills’. How much does electricity cost in the apartment you’re eyeing? Several old buildings are poorly isolated, which can result in monstrous electricity bills — especially in the winter. If you want to knock a few bucks off the truck rental, you should consider moving out of your apartment at a date prior to July 1st. Prices get exponentially ridiculous around that date and drop drastically a week before and a week after. This year, for example, we chose to move out on June 1st to avoid the hustle and bustle of Canada Day. 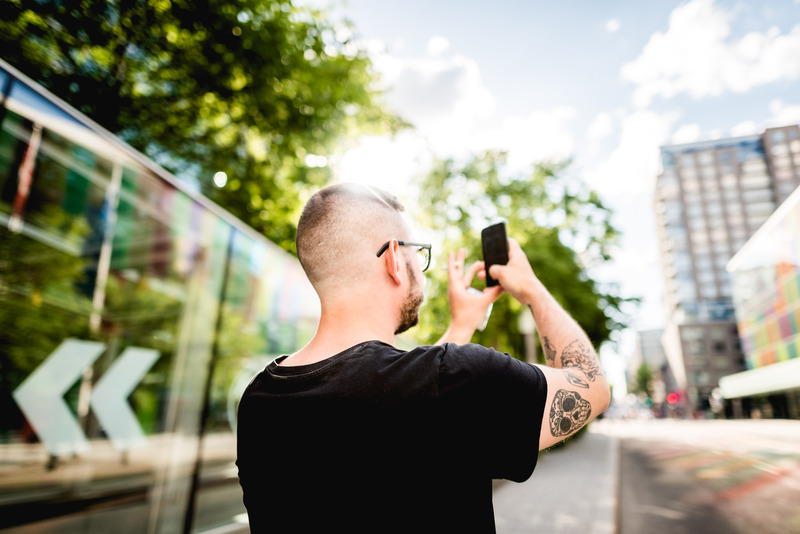 Jeff On The Road – How To Find An Apartment in Montreal – Men using smartphone in Montreal – All photos are under Copyright © 2017 Jeff Frenette Photography / dezjeff. To use the photos, please contact me at dezjeff@me.com. Kijiji website or app: Probably the easiest one of them all and it has various filters to facilitate your research. PadMapper website or app: I find the app really useful because it uses geolocation to find apartments near you. Walk Score website or app: Originally this was conceived to determine how walkable is your place or area. They now have a whole section completely dedicated to apartments. Craigslist: I never found anything on this one. However, a lot of my friends found apartments through this website. They don’t have an official app and it is cumbersome to browse through the website on a mobile device. Realtor.ca: I found really great looking apartments on this one but it’s a one by one case. In many cases, the apartment was not available anymore and the real estate agent didn’t remove the listing. Usually on the pricier side because you have to go through an agent to rent it. Kangalou: Newcomer in the apartment hunting world. Kangalou aims at finding the best apartments and the search tool is map-based so you can easily find in the area you are looking for. Facebook Groups: There are a lot of Facebook Groups that are helpful to find apartments but the listings go away quickly. Once you’ve downloaded the essential apps and came up with a moving plan (budget, utilities, neighbourhood, etc.) and you’re ready to hit up the internet to find the perfect apartment, you’re going to want to create a short & friendly message that you will copy & paste every time you contact a landlord for an apartment. Keep it short and sweet but also ensure it contains all basic information; mention as much as you can while keeping it concise. Here’s an example we used during our most recent apartment hunt. Hi! We’re really interested in this apartment. 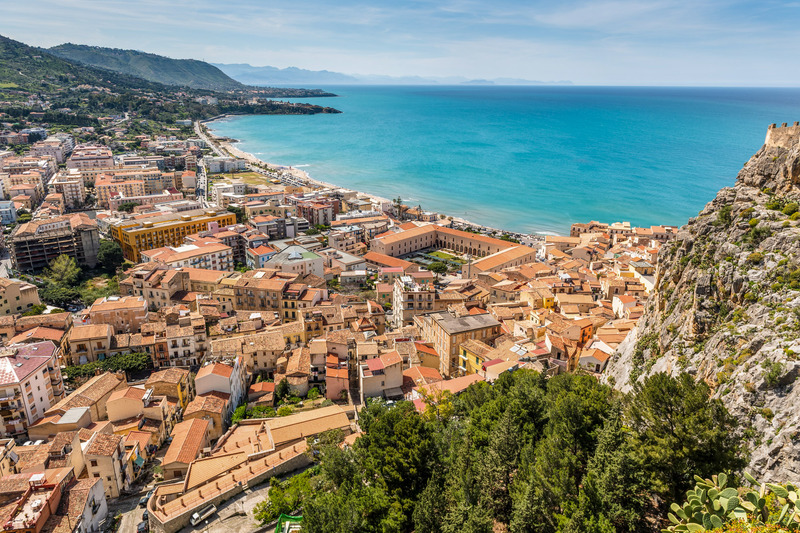 We’d like to visit as soon as possible. We’re looking for the month of [MONTH]. Thanks and have a great day! The landlord will usually answer by asking when you’re available for a visit or, possibly, indicate the day and time of the open house. While I personally prefer using the Kijiji chat, some landlords would rather speak on the phone so it’s not a bad idea to add your phone number at the end of your message. If the classified ad site you’re using offers a « Favourite » feature, use it: it’ll be easier to go back and message all your « favourited » apartments in one fell swoop. Furthermore, if the site offers the possibility of using filters (budget, features, location, etc. ), go for it! Narrow down the results to reflect your own set of needs and avoid wasting precious time looking at ads that are out of your budget or don’t have the number of rooms you’re looking for. Before messaging the apartments you favourited or you’re interested in, observe the photos and try to understand how the apartment is laid out as well as how and if it will suit your needs. There are so many apartments out there that claim to be 2BR/3BR when, in reality, they don’t even have walls between all rooms — more often than not, a double living room will count as a supplementary albeit nonexistent bedroom. Google Maps and its Street View feature are your best friends for your research. In many cases, it helped us avoid useless visits. 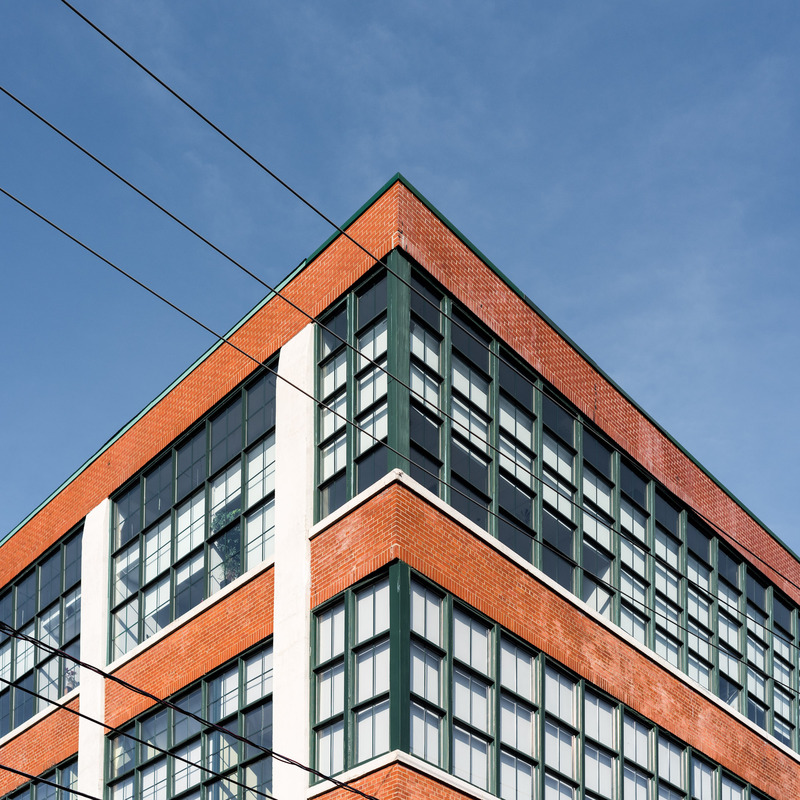 While you shouldn’t always judge a book by its cover, a good rule of thumb is that if the exterior of the building is terrible, it probably won’t be any better inside — however, there are definitely a few gems here and there. Jeff On The Road – How To Find An Apartment in Montreal – Street Corner – All photos are under Copyright © 2017 Jeff Frenette Photography / dezjeff. To use the photos, please contact me at dezjeff@me.com. 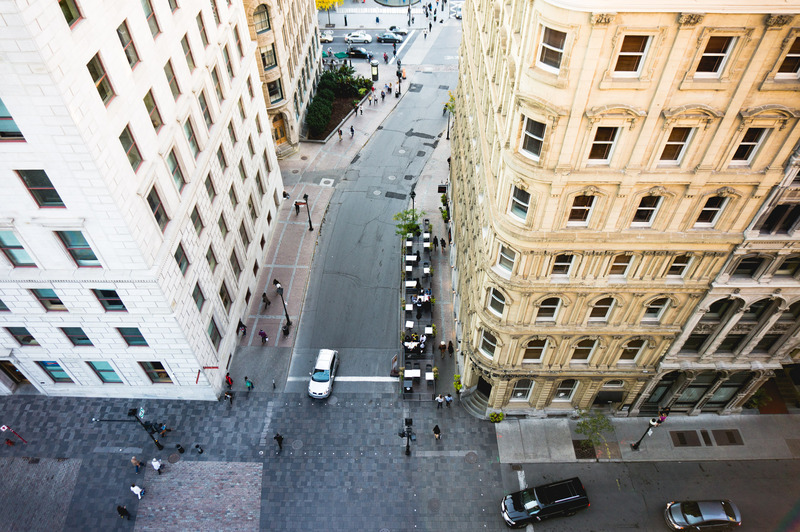 Jeff On The Road – How To Find An Apartment in Montreal – Old Montreal from above – All photos are under Copyright © 2017 Jeff Frenette Photography / dezjeff. To use the photos, please contact me at dezjeff@me.com. Last year, I left Quebec City to join my partner Jeremie in Montreal. Finding an apartment when you only come to the city on weekends only gives you a very short amount of time to find a place to live. We had to act quickly and secure a place fast. Even though it wasn’t the first either of us had gone apartment hunting, we foolishly zoomed out on a few important details that should be primordial while looking for an apartment in Montreal. Our current location and apartment made us realize what was deeply important to us and I made a short list out of it. 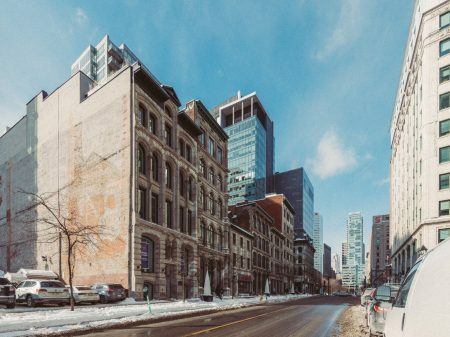 Jeff On The Road – How To Find An Apartment in Montreal – Condo Building Corner in Hochelaga-Maisonneuve – All photos are under Copyright © 2017 Jeff Frenette Photography / dezjeff. To use the photos, please contact me at dezjeff@me.com. How’s the hot water? Does it come out of the faucet quickly? Is it a shared or private hot water tank? How’s the water pressure in every faucet? Where are the electrical outlets? Will you have to rely on meters and meters of extensions and power bars? What is the heating system – electric, gas, other? Can you control it? In each room? Are there windows in every room? Did you know it’s illegal not to have a window in your bedroom? Are the windows in good condition? How clean is the place right now? We visited some places so dirty that I didn’t even want to take my shoes off. Is there a Washer/Dryer Hookup? Is there enough natural light for you? If so, where does it come from? Try to visit on a sunny day if possible. Avoid visiting in the evening at all cost. 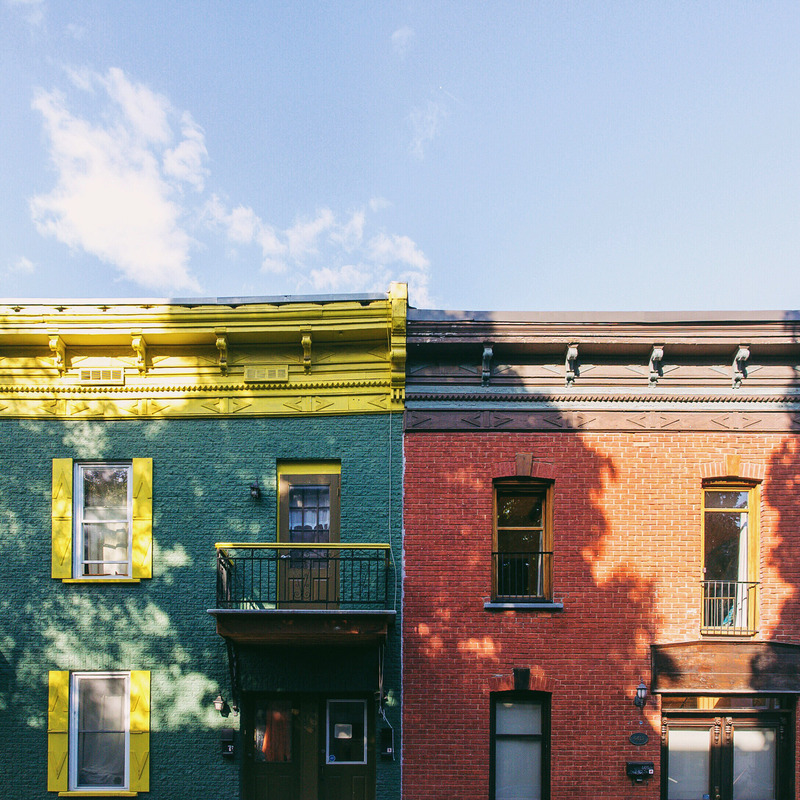 Jeff On The Road – How To Find An Apartment in Montreal – All photos are under Copyright © 2017 Jeff Frenette Photography / dezjeff. To use the photos, please contact me at dezjeff@me.com. Be polite when you visit, arrive on time and say thanks to the person that just showed you around as you leave leaving. At any given time during the visit, if you can’t picture yourself living there, do not hesitate to be true to yourself and to the landlord and immediately admit it’s not gonna work. If you’re really interested in what you’re seeing, don’t act too fast. Even though the apartment market is a fast and furious beast, take a few minutes outside the apartment to think about it. If after taking everything into consideration you still think this is the place, go back inside and tell the person in charge you would like to fill in a lease application. 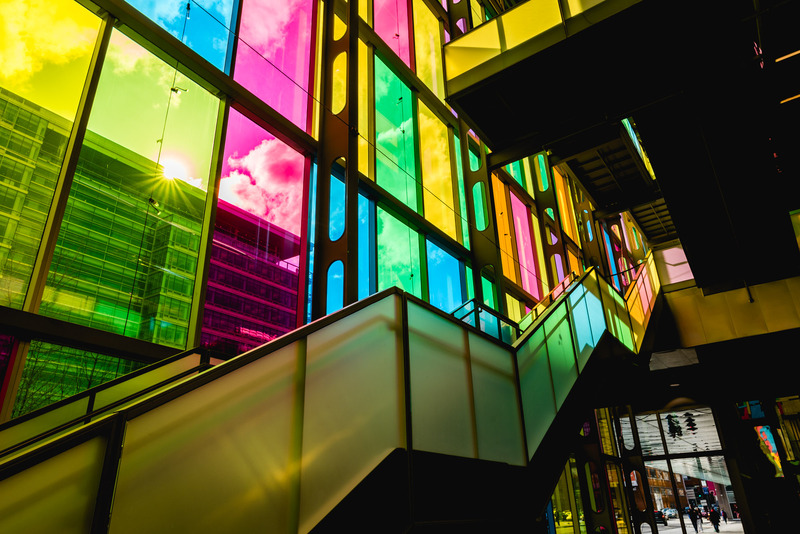 Jeff On The Road – How To Find An Apartment in Montreal – Iconic Palais des Congrès – All photos are under Copyright © 2017 Jeff Frenette Photography / dezjeff. To use the photos, please contact me at dezjeff@me.com. BEFORE visiting, ask the landlord how far down the waitlist you are. Don’t lose your time if you’re 5th or more. You don’t feel the vibes in the neighbourhood. 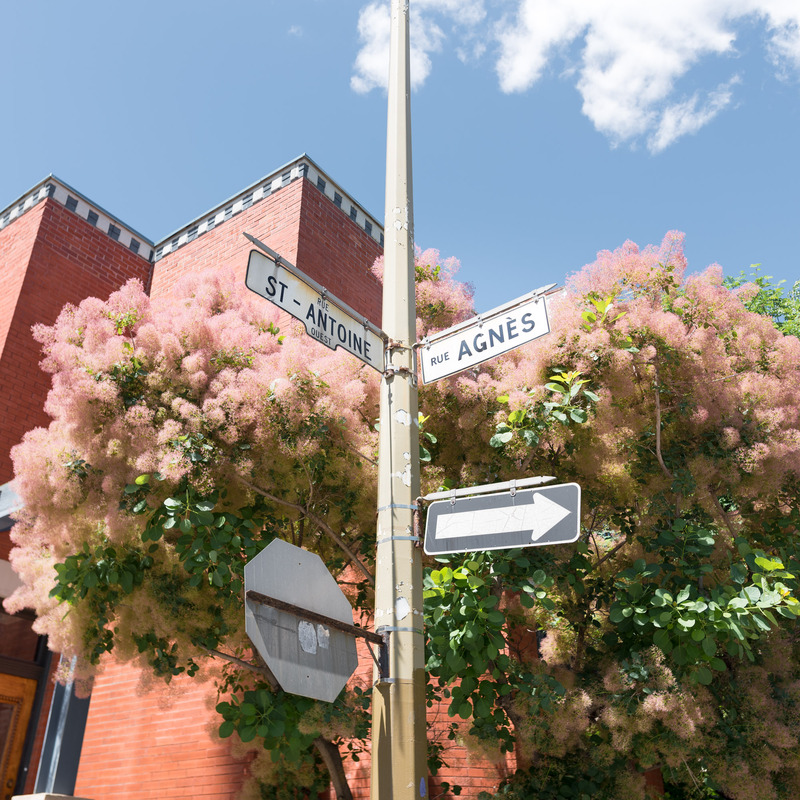 It’s true: not everybody can like neighbourhoods like Hochelaga-Maisonneuve or NDG. I love diversity, but do you? You feel like you’re just a number to this “Sloppy Joe” landlord. During numerous visits over the past two months, we met with so many types of landlords that we now know exactly what we’re looking for. ask yourself: Is it going to be hard to communicate with the landlord? Does it already feel strenuous and complicated to even agree on a visit with this landlord? How am I going to pay rent to the landlord each month? (check or eTransfer?). Does the landlord look sketchy? Am I going to be able to communicate in my language of choice with the landlord? Am I going to be able to text this landlord? Can you visit each and every single room in the apartment? We visited several apartments where we couldn’t visit all rooms because people were sleeping in it… Seriously!? If it’s a shared entrance type of building, is it nice and tidy or does it have cracks all over, bricks about to fall off or bug traps meticulously located at every single inch of the entrance? These cues are also valid for the interior of the apartment. While you are visiting, pay attention to noise levels; if you can already hear sounds coming from other apartments, don’t stay. It’s only going to get worse. The neighbour’s dog won’t magically stop barking when you move in. If the landlord keeps on mentioning things that are meant to be fixed before you move in, make sure they’re mentioned in great detail in the lease agreement. Otherwise, they might just never get fixed at all. Does the apartment smell like cigarette? Even though it’s illegal to prohibit people from smoking in their home, you can ask if it’s a non-smoking building. Once you finally found your apartment, what’s next? Jeff On The Road – How To Find An Apartment in Montreal – Mtl skyline from Parc Jean-Drapeau – All photos are under Copyright © 2017 Jeff Frenette Photography / dezjeff. To use the photos, please contact me at dezjeff@me.com. Now the other fun part has begun. You need to pack your stuff. First of all, I would suggest using the KonMari technique as it will help you create a tidy, uncluttered environment before you even start packing. Using this technique will drastically improve the packing and moving process because you won’t be bringing useless stuff along with you. After tidying up, you’re ready to pack your boxes. Personally, I bought plastic boxes years ago that I use to carry my stuff around and more solid than cardboard boxes. You can find plastic boxes at Canadian Tire or Home Depot. 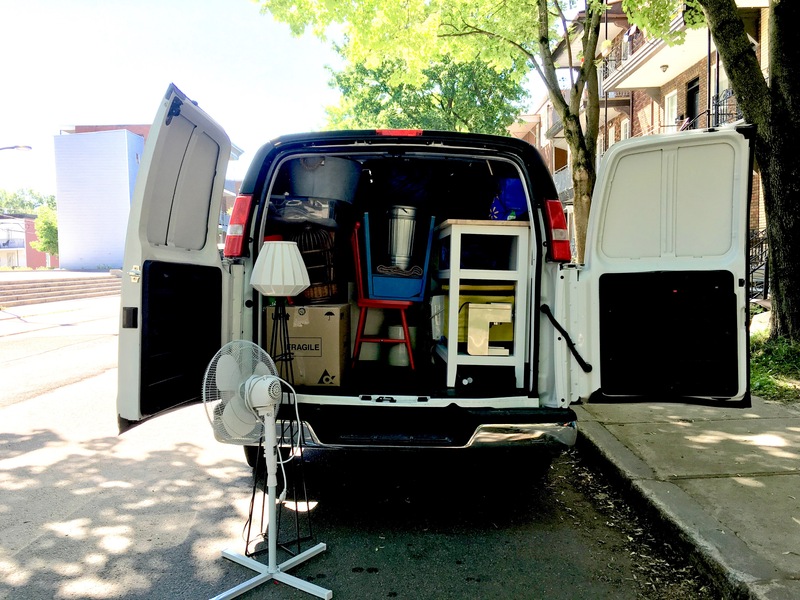 Jeff On The Road – How To Find An Apartment in Montreal – Moving Truck – All photos are under Copyright © 2017 Jeff Frenette Photography / dezjeff. To use the photos, please contact me at dezjeff@me.com. 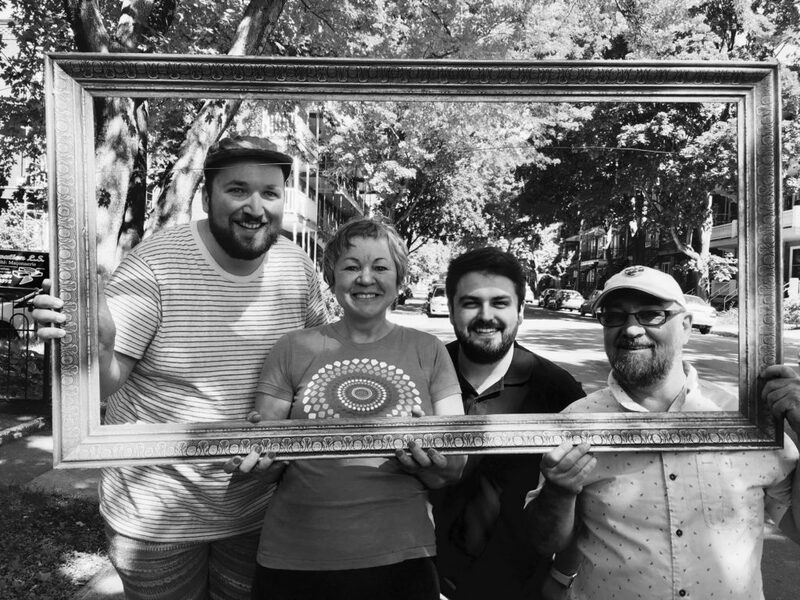 Jeff On The Road – How To Find An Apartment in Montreal – Friends & Family Helping Me Move – All photos are under Copyright © 2017 Jeff Frenette Photography / dezjeff. To use the photos, please contact me at dezjeff@me.com. You will have to plan this one ahead otherwise, you’ll likely end up with no moving truck nor movers. 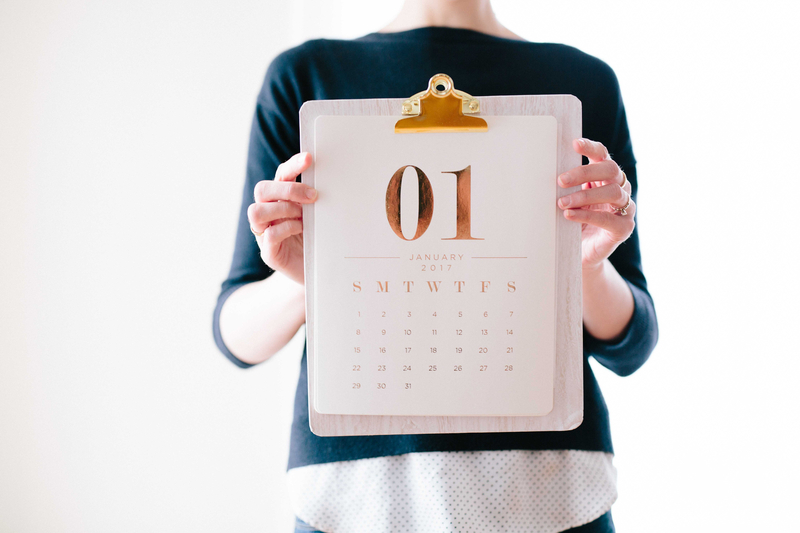 Most people move on the day their lease starts; however, in some cases, the current lessees might have already left by that time, leaving you with the possibility of moving in earlier. Are you going to need rent a truck yourself and ask a few friends to help you move or do you prefer to hand this over to movers? In both cases, you’ll have to make arrangements to get this day going. 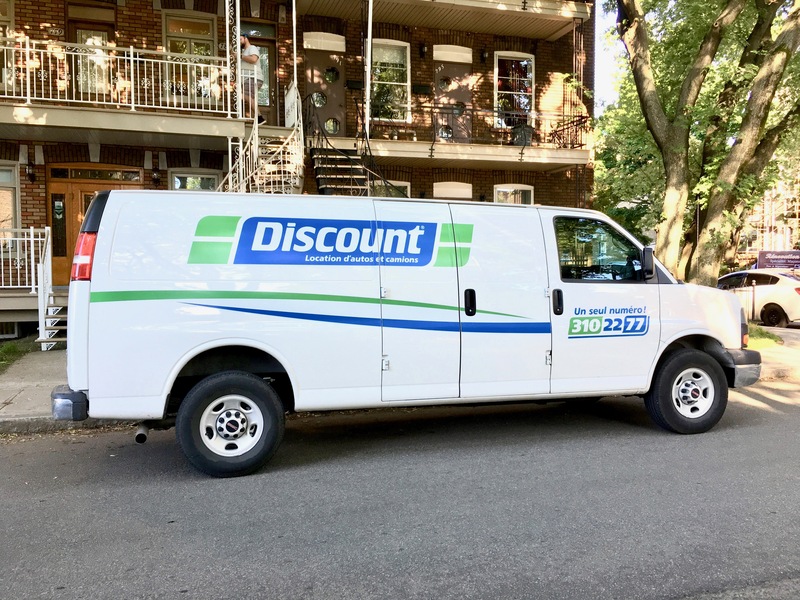 If you are looking for the best movers in Montreal, here is a list curated by my friend Eve on her blog. There is also a handful of great advice in this article. 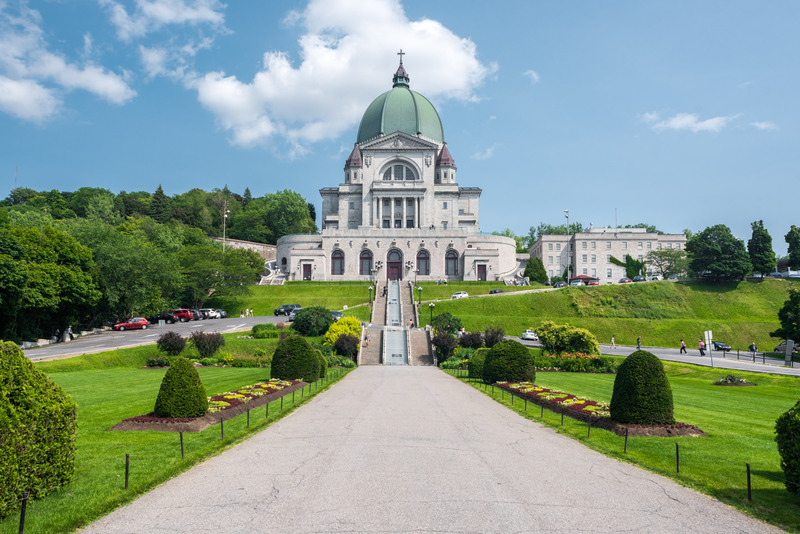 Make sure to check out this article by my friend Marie-Eve from To Europe And Beyond blog about moving to Montreal. 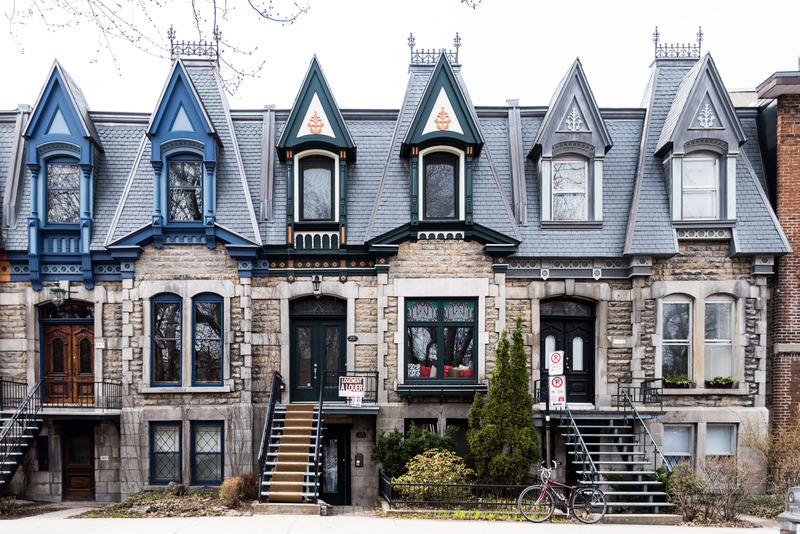 Jeff On The Road – How To Find An Apartment in Montreal – House Portrait in Mile-End All photos are under Copyright © 2017 Jeff Frenette Photography / dezjeff. To use the photos, please contact me at dezjeff@me.com. 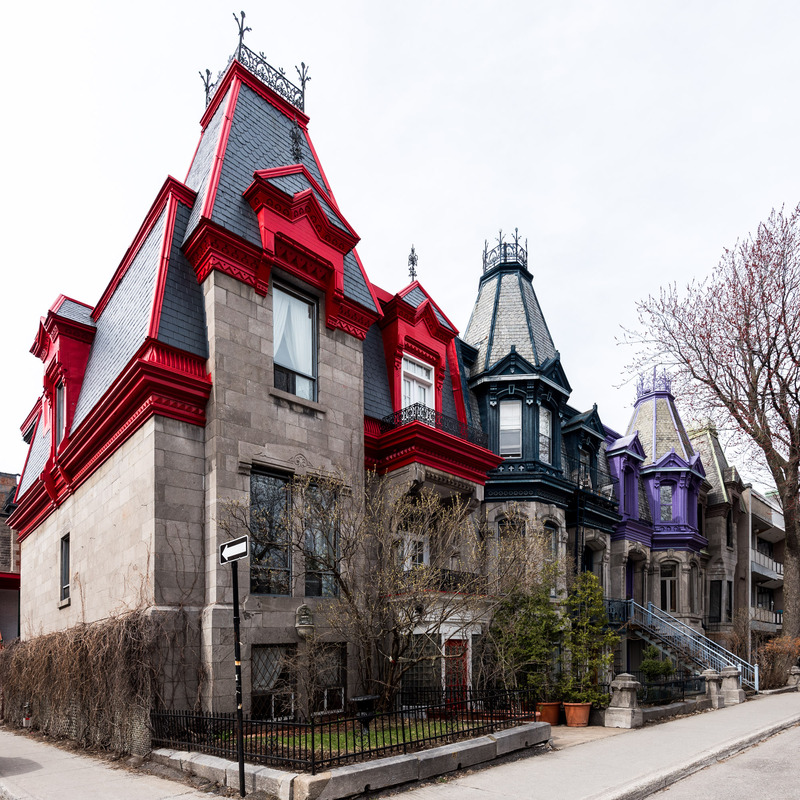 Jeff On The Road – How To Find An Apartment in Montreal – House Portrait Carré St-Louis – All photos are under Copyright © 2017 Jeff Frenette Photography / dezjeff. To use the photos, please contact me at dezjeff@me.com. 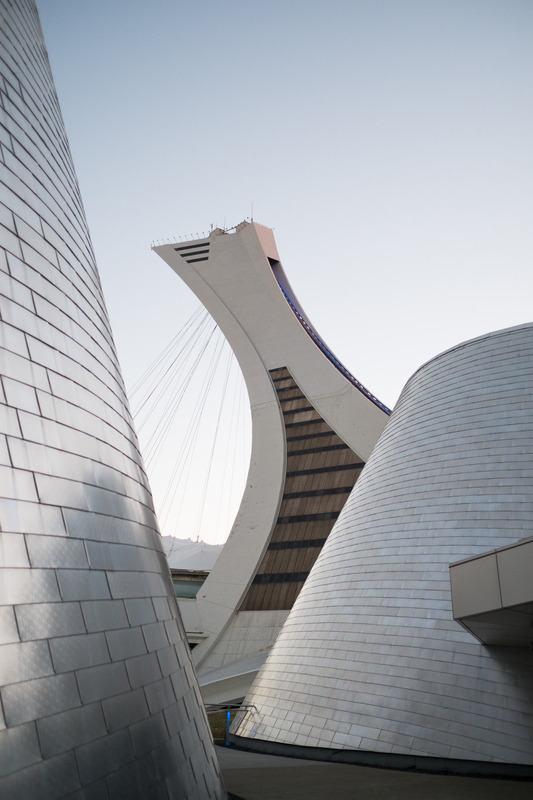 Jeff On The Road – How To Find An Apartment in Montreal – Iconic Olympic Stadium – All photos are under Copyright © 2017 Jeff Frenette Photography / dezjeff. To use the photos, please contact me at dezjeff@me.com. Check Hydro-Québec website to estimate the approximative price of the electricity at your future residence. Hello! I find this article very helpful. However, I do have a concern with regards to credit checks and references. I am a new immigrant coming this October. Since I have no credit history and have no references in Canada, will I also have a good chance of finding a good appartment? I have also read that there are landlords who ask for security deposits and extra month’s rent from immigrants as a way of securing themselves. Hi Joel! Thanks for reading the article and I’m glad it helped you. Landlords that ask for security deposit do it illegally since it’s prohibited to do so in the province of Quebec. They might ask for someone to sign on your behalf to guarantee you’ll pay. Another good way to find an apartment when you arrive for a short/medium term is to use Airbnb! Hope it will help you! Reading this one year later, but I just wanted to say that this article was really helpful after two unproductive days of searching for my first apartment in Montreal. Thank you! Hi Eugénie! I’m so glad you found this article helpful! 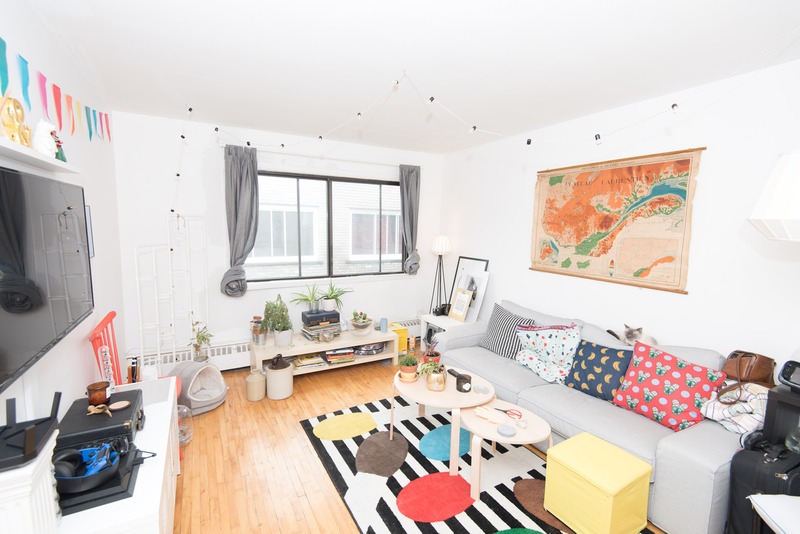 Don’t hesitate to share along with your friends that are looking for an apartment in Montreal :)!